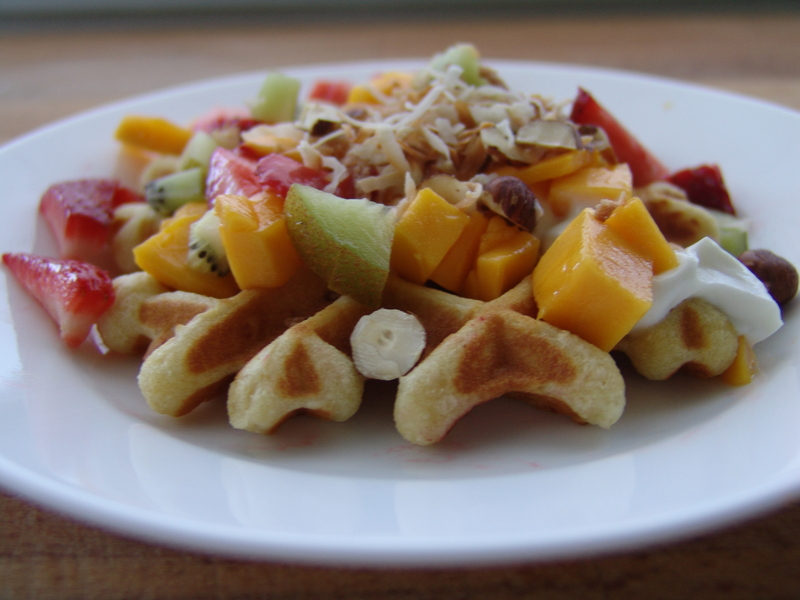 I’m not about to tell you these waffles will make you feel like you’re on a tropical island. Or warm you up on a cold morning. Tropical Island = warm, vacation, toes in some sand, sun on your face. Yes, I live in Texas. I know it’s warmer here than other parts of the country. But it is not warm yet. Warm = 90*. Now that we’ve established that. These waffles are what I imagine you might eat should you find yourself on a warm tropical island. Top with toasted coconut & tropical fruits.